There are also new selector filters which allow users to easily highlight their desired product(s) within either the MVHR, handles or window vents range; this enables users to then simply and quickly identify the options available for their specific requirements. 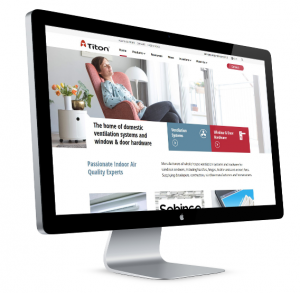 Titon has also introduced a ‘Find my product’ section – a selectional tool allowing visitors to search by division and product type in order to locate a specific item; whether it is a ventilation controller or a window handle, this function covers the entire Titon portfolio, while providing extensive information on the end product once it has been selected. Visitors to the site can use the ‘Product Identifier‘ tool to submit a photograph of an existing installed product in order to identify a suitable replacement or obtain essential servicing information – a feature which has been designed with homeowners in mind.